From its magnetic exterior styling to its plush interior, the 2019 INFINITI Q70 has a lot of great qualities that separate it from the competition. It remains one of the most fulfilling luxury sedans in the class. While drivers are bound to fall in love with the Q70’s powerful performance, families will appreciate its spacious design. Let’s take a closer look at the new 2019 INFINITI Q70. The new INFINITI Q70 is engineered to deliver an exhilarating performance on the road. You have two responsive engines to choose from. With a total production of 330 horsepower and 270 pound-feet of torque, even the base V6 engine packs a serious punch. A quick-shifting, seven-speed automatic transmission comes standard throughout the lineup. To experience even stronger acceleration, upgrade to the monstrous V8 engine. INFINITI tuned it to develop an exciting 420 horsepower and 417 pound-feet of torque. Available as an option, the intelligent AWD system immediately reacts to adverse driving conditions. While all versions of the new Q70 are engaging to drive, an available Sport package ensures especially precise handling. If passenger room is a big priority, the 2019 INFINITI Q70 is bound to leave you impressed. Everyone will be able to stretch their legs. Above-average driver comfort makes the Q70 a great car for family road trips. There’s also plenty of modern technology inside the new Q70. Bluetooth wireless connectivity, Fine Vision gauges, and dual-zone climate control come standard. For no extra cost, you can opt for the popular Essential package. It rewards you with INFINITI’s InTouch infotainment system, a 10-speaker Bose sound system, and navigation. A 16-speaker Bose Studio Surround sound system is available as well. INFINITI has become a leader in passenger safety. Not only does the new Q70 provide excellent impact protection, but it also offers a number of smart driving aids. Featuring a total of four cameras, the sedan’s Around View Monitor gives you a 360-degree perspective of your surroundings. Meanwhile, Predictive Forward Collision Warning can actually anticipate an accident two vehicles ahead. Adaptive cruise control helps prevent driver fatigue on long road trips. Some of the other advanced safety technologies include Blind Spot Intervention, Backup Collision Intervention, and lane-keep assist. Whether you’re seeking the maximum passenger comfort or electrifying performance, the new 2019 INFINITI Q70 promises to deliver. 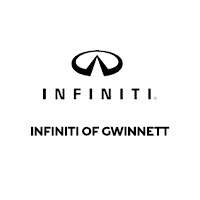 To experience everything that this dynamic luxury sedan has to offer, contact INFINITI of Gwinnett to schedule a test drive.